The size of the universe will steal your breath away. It’s like being submerged in cold water. It leaves you stunned and gasping. Stupidly, I found myself reaching out toward Neptune, hoping to brush my fingers across the hair-like dust rings but they are thousands of miles away. From out there, the stars are so bright you almost need to turn away. It’s not like back on Earth where they are dim and veiled in smog. Out here, with nothing but emptiness, they are everything: light and hope all in one. So vast, so beautiful. God she would have loved to see this. She would have been inspired. I can almost feel how she would have felt. 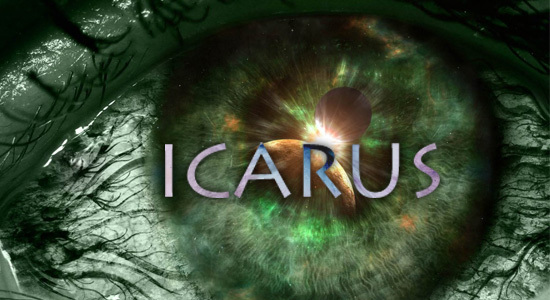 Even then as I stood on the arm of the Icarus’s payload crane, the words came into my breast. Had I a computer right then, I might have written volumes. But I didn’t and when I came back in, I found myself exhausted and weary. Instead of a vast wonder I saw a vast pit of nothingness around me. It nearly made me faint. I shook for hours in my quarters afterward. Even now, my fingers find the act of typing strenuous. Tomorrow we begin the hard burn to Charon, pushing out past the orbit of Pluto. Some are saying they want to stand there, on the edge of our solar system and stare into infinity. After Neptune, with its roiling vapor clouds and leaking atmosphere, I am not sure I want to see that. Part of me longs for that feeling of inspiration and wonder, and the other fears that great void of unknown. Jennie is coming by. We plan to drink an entire bottle of the horrid wine we have on board. She didn’t like the sensation either and suggested we try and sleep it off, together. Even if it’s cheap and set up because of our psychological profiles, there will be solace there with her. Already we are moving away from Neptune’s orbit. As I write this, Triton is coming into view. It spins opposite of its mother planet, something I find endearing. There is atmosphere on Triton, thin and toxic but it’s there. I hold up a hand in farewell and I imagine it does the same with spouts from its nitrogen geysers. I turn toward the door and away from the darkness as she knocks. This entry was posted in Icarus, Original Fiction, Science Fiction and tagged Alpha Centauri, blog fiction, Can, Earth, Icarus, Mike Kern, NASA, Science Fiction, SciFi, space, Time-Vortex, Vortex-Entry couches, William Shriver. Bookmark the permalink.